Really impressed with this toothpaste, didnt expect it to whiten my teeth by 2 shades in such a short amount of time, would defiantly recommend and will be purchasing again! 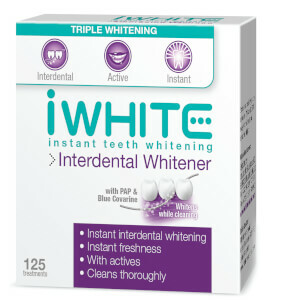 I saw an immediate whitening effect on my teeth which increased over the first week of using it and I only used it twice a day rather than the recommended three times. The toothpaste itself is a really nice bright pink, but I've seen no staining on my teeth, gums toothbrush or sink. It tastes really good and the mint taste isn't too strong like some other toothpastes I've tried. It leaves your mouth feeling really fresh and clean too. This toothpaste is brilliant! I could notice a difference from the first time I used it. It tastes good and it leaves my teeth so clean and polished! The only thing I don’t like is the colour. Better than pearly! Luminous whites! I have been using Pearl Drops Luminous Bright White toothpaste for the last few weeks, and overall I'm really impressed and will certainly be using this as my everyday toothpaste. I drink a lot of sugary drinks and I have to admit, I wasn't expecting miracle due to my past experiences with other toothpaste claiming to whiten your teeth. At first I noticed that the paste has that clinical pink colour (so I expected it to have that antiseptic taste that other brands have) but was quite surprised to find it tastes minty. I decided I liked the pink colour as it made it unique from any other whitening toothpastes. It had quite a thin texture and didn't lather too much in my mouth so I really had to ensure I was brushing it around evenly in my mouth. However, with the bright pink colour I was able to identify any missed spots! After 2 weeks, using the chart I noticed that it has made my teeth "5 shades brighter", I would say they were visibly whiter and had more of an instant whitening affect opposed to other brands that didn't really seem to make any visible difference. I am so happy with this toothpaste as it really does make a difference! As I am now using this as my daily toothpaste, I am excited to see further results. I would definitely recommend as you will see instant results using this toothpaste. You definitely need to give it a try! Highly Recommended! I was skeptical about how well this would work after having used a number of whitening toothpastes in the past but I can genuinely say that I'm surprised at how well this seems to work. Of course it has only been a few weeks but, according to the chart on the packaging, my teeth have certainly whitened between one and two stages, which I think is more than reasonable! It works great with my electric toothbrush. 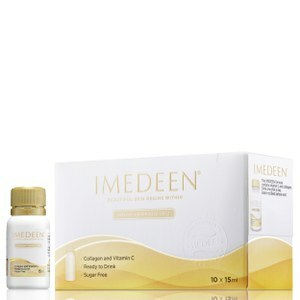 Delighted with this product so far and I will certainly be purchasing it again. This paste is really good, I noticed my teeth were whiter looking after just a week. It removes stains from tea and coffee also. I recommend.